Home » Blog » How Well Do You Know Your Customer? The National Main Street Conference contained several different learning sessions for attendees. 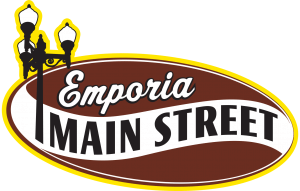 Each year, Emporia Main Street distills the sessions attended by our members and relays the information attained to our general readership. Every business and organization has “customers”. A focus on the people you serve can allow businesses and organizations to grow. Determining the number of people that fit your projected customer profile can help determine your traffic and sales potential. Creating a profile of your ideal customer or customers can aid entities in their marketing decisions. Projecting the type of person that makes up your clientele, and utilizing those profiles in your decision making, can simplify the decision making process. 1. Where do my customers work? Determining your customers employment habits can help you format your hours of operation, seasonal promotions, and special marketing strategies. For example, if you determined that your local customers were accountants that worked 8:00 p.m. to 5:00 p.m. and you were a retailer, you would probably need to make sure that your hours extended well past 5:00 p.m. You might want to schedule promotions after “tax day”, and your specialty marketing strategies might focus on the specific wants and needs of that particular profession. 2. What is the income of our customer? The basic rule of thumb for spending is that 40% of a persons income is “disposable”. Knowing the income levels of your average and ideal customer can help you determine how much they can potentially spend on your products and/or services. Obviously, people won’t spend all their income on a singular product or service, so allocations are required to determine realistic spending thresholds. If you are wondering how much the average consumer dedicates to spending within their budget, CLICK HERE. If you need to know the average salary for different professions, CLICK HERE. 3. What type of vehicle do they drive? This is kind of a sneaky way to “parking lot shop” your customers. Vehicle information can also be used to determine the psychographics and hobbies of your potential customers. 4. How old are they? Age for different businesses or organizations can inform entities about the types of products/services to offer, how to reach out to potential customers (communication platforms), and generational expectations for interaction. Realize that most consumers want to “act younger” than they actually are, so make sure your marketing strategies intersect consumers where they exist psychologically, not just demographically. 5. Where do they live? Identification of where customers are from can let you know if your traffic is based on an area anchor, pedestrian traffic from nearby housing, city wide, or are you a destination for consumers outside the traditional market trade area. This should help inform marketing expenditures, hours and amenities provided. 6. What is their educational attainment (and where did they get their degree)? Educational attainment ties in closely with a persons interests, the types of jobs available in an area, and sports preferences. If your primary customers rely on shift based work, you may have to make some hours adjustments to ensure that these individuals can comfortably engage your business. If you have an agricultural based business, you may need some purple power cats decorating your interior. 7. Where do they get their news? Knowing how people consume information can let you know where to advertise, and it can also give you an insight into the personality of the individual you are dealing with. You can determine political leanings, technology acumen, and some social media habits with honest answers to this question. 8. What is their relationship status? Marketing to a household of people is a little different than marketing to a single person. Fashion wants, entertainment desires, and some services differ when you take relationship status into account. 9. Do they have kids? Anyone with children will let you know that buying decisions, travel options, and planning for services change dramatically when compared to “pre-child” years. If a restaurant finds that a significant number of their clients have children, an easy way to increase sales is to create strategies that encourage kids to love their restaurant. Something as simple as crayons and something to draw on can mean the difference between a well behaved child and asking for the check way to early. 10. What do they like to do for fun? Determining people’s leisure time favorite activities can help you reward customers, or bring them into town on a more consistent basis. If you are targeting an out-of-town ideal customer, letting them know that they can visit your business prior to a “Live in the Lot” summer concert may just be the push your customer needs. 11. What are their needs? Figuring out the products or services your customer needs is key to any successful business or organization. When is the last time you asked your existing or potential clients what they need from you? Letting customers know that you heard them, and made changes based on their feedback, is a great way to position your entity as a responsive organization. 2. Extrapolate the number of your “ideal” customers across the market trade area. Finding the customers that “should” love your organization, and then determining how to best reach them is a solid way to diversify your customer base. Some businesses or organizations can get a little bit of an ego shock when they find out that a prospective consumer won’t engage them because their preferences actually don’t align with the business, but realistic projections of ideal customers can aid in growing market share. 3. Determine the amount of potential “ideal” customers that you can target in neighboring markets as “destination customers”. 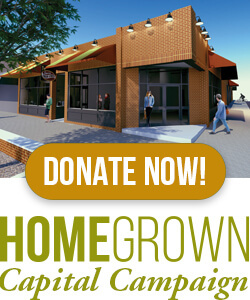 Destination customers are important to the community, because they circulate “outside dollars” into our local economy. The problem with destination marketing is that most customers won’t travel an hour just to see you. Most consumers abide by the “rule of four” (for every one hour you travel, you need four hours of things to do). So, after your determine your ideal destination customer, you may have to tie your business or organization to other things happening in the community, or other businesses you can partner with. Because the communities surrounding Emporia are typically much larger, targeting a niche group of ideal consumers can have a significant traffic and sales impact on your business. Once you have determined your number of customers in the aforementioned scenarios, you can start thinking about how to more effectively alter your products, services, and marketing/branding activities to intersect with your ideal consumer. If you have a sufficient number of customers that fit your “ideal”, and your analysis of their answers to the questions listed above are correct, you should have a profitable and popular business, or an organization that interacts well with your target niche. If you can’t determine what your ideal customer looks like, and how to best intersect with them (you can’t be all things to all people), you will inevitably experience a decline in sales, donations, memberships, foot traffic, and/or volunteers. Set your surveys through capturing people in your store, at events, intersecting on the street, email, and social media outreach. Once you distill your data, name your customers (the individual at Nationals suggested naming a customer segment using the most popular names from the year they were born CLICK HERE ), and ask the question: “Would (insert name) like this (product/service/marketing effort)? Once you start making business or organizational decisions based off of the needs of your customers, you should see an increase in customer patronage and loyalty.